Sunday happiness, a little girl playing with soap bubbles and the reflection of the Celebes sea. We’re in Siladen, a small island close to Manado, in North Sulawesi. A couple of resorts, a little village with 300 inhabitants and a lot of smiling kids. People in the village live simply, but they are very welcoming, a little curious and so keen to interact. While I went scuba diving, my best friend Stefano strolled around the village to take some portraits. This was my favorite one and he was so kind to allow me to publish this scene of Sunday happiness. Yes, Stefano really capture a wonderful moment! Thank you, Juno. But all the merit of this lovely shot is of my friend Stefano, who was able to capture such a beautiful moment. I have never gotten over blowing bubbles. I do it with my 6 year old kid all the time and it really makes me happy. 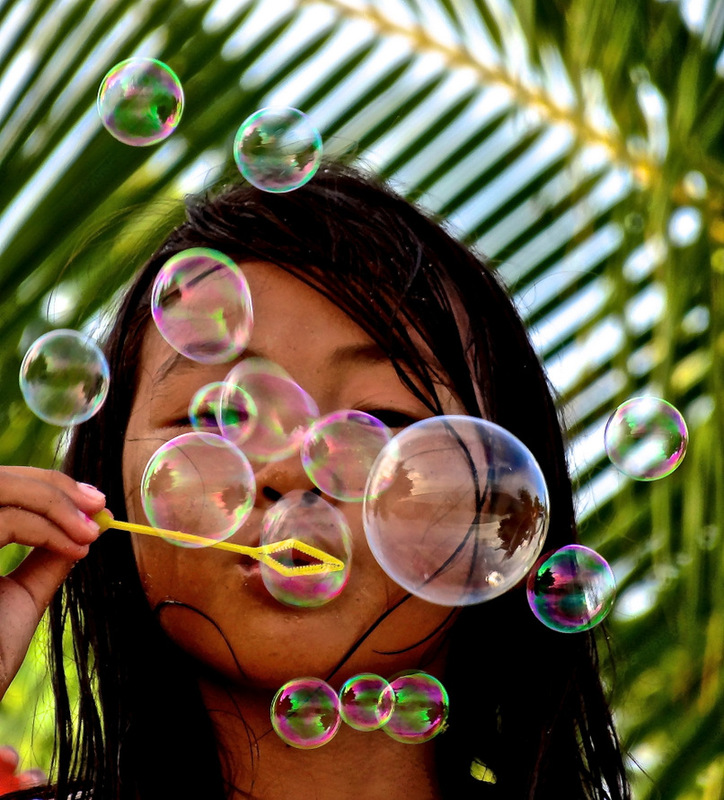 It’s amazing how such a small thing like bubbles can make us happy. Really nice portraits!!! My kid likes playing with bubbles a lot. Thanks for sharing. I like playing with bubbles as much as the kids do.